Oviya Shared Another Unseen Video From 90ml Trailer !! Oviya Army Goes Crazy !! Upcoming Tamil film ’90 ml’ starring Oviya directed by Anitha Udeep and produced by Udeep has been censored with an ‘A’ certificate by the Censor Board. The pretty actress is on a roll after she shot to stardom after her successful stint in television reality show Bigg Boss Tamil, hosted by Kamal Haasan. The film is set to hit the screen on February 22nd, while the trailer. 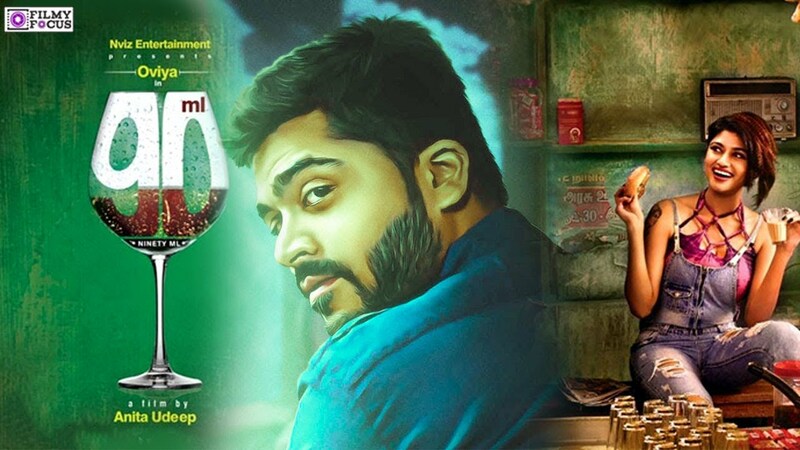 The trailer turned out to be a big time controversy in Kollywood. Unlike previous adult movies in Tamil cinema which are majorly based on Male characters such as Iruttu Arayil Murattu Kuththu and Trisha Illana Nayanthara, this movie seems to portray the female characters in such situations. Oviya’s fame shot sky high after she made a name for herself in Big Boss Tamil season 1. Her followers, Oviya Army, supported her in every stride and were eagerly waiting for her first film post-Bigg Boss. “Our film has a bold content but I’m expecting both positive and negative comments from the audiences”, said Oviya. Imagine Vijay Sethupathy instead of Oviya saying the very same dialogue – am sure there’s have thunderous applause and whistles! Sad. My Life My Rules 🤗 . – My principle too. The film which seems to be a female oriented movie looks like it is based on the desires of women. The dialogues that took place in the trailer shows that it is focused on the sexual life between Male and female. Previous article“Not Gautham Menon, But This Director To Direct Varmaa” Prashanth Reveals !! WATCH !! Next articleBREAKING : Following Rajesh’s Death, Another Chennai Police Officer Abused Cab Driver !! WATCH ! !